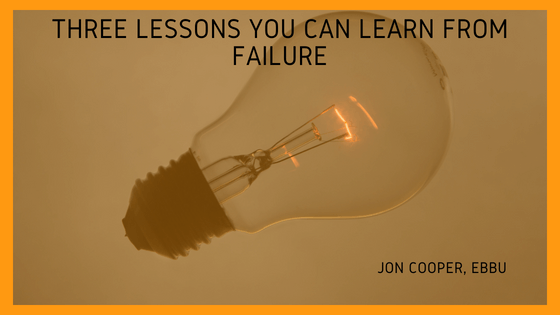 Failure does not have to mean the end of your business pursuits. Rather, failure can provide the opportunity for a fresh approach that will follow a trajectory to success. When rebuilding your company, keep in mind these three lessons that can help to prevent failure. No business is fail-safe. Any enterprise can experience difficulty due to factors beyond its control. Take a careful look at economic factors and your company’s industry to anticipate any contingencies that may need to be dealt with. Always have an emergency fund available for unexpected needs, and have access to temporary staff or outsourcing options in case of an employee shortage due to vacation, illness, etc. One of the things my board has always appreciated about me is that when we run into stressful times, I always have a plan A, plan B, plan C, etc. Sometimes I have had to go to my plan C, but it still allowed for a path forward. Join the local chamber of commerce and network to meet other small business owners who are willing to share their experience and insight. You can also join LinkedIn, an online social media site, to exchange ideas and solicit advice from experts in your field. In his June 6, 2018 Forbes article, Mike Kappel points to sage professionals who can help you avoid past mistakes: “Accountants can help you interpret your business’s financial state. Lawyers can help you choose the business structure that will best help you succeed. And other small business owners have been in your shoes. They can lend you some of their expertise so you don’t make the same mistakes as them.” Those who have restarted a business or recovered from failure can show you the pitfalls to avoid and shortcuts to take that can keep your business afloat. Don’t ignore small warning signs or wait for a minor problem to become a big one. Check your policies and procedures routinely to ensure everything is working as it should, especially the trouble spots that led to past failure. When in doubt, consult a retiree or mentor, or schedule a diagnostic evaluation to fix issues that may be brewing. Request customer feedback through surveys to get their perspective, and be sensitive to concerns. Countless successful leaders, companies, and products have failed previously, some more than once. With careful observation and a competent backup plan, you can sidestep previous problems to ensure your business is successful this time around.